In Rethymno in Crete, one of the most popular destinations in Greece, you can book a rental car provided at the airport. So all destinations in the city itself and the surrounding area can be reached quickly and easily. Above all the independence of bus and train as well as taxis is a consideration for rental cars, which can be rented at Airport Heraklion as well as Chania cheaply. These can be searched for in the price comparison before the start of the holiday and thus found cheaply. 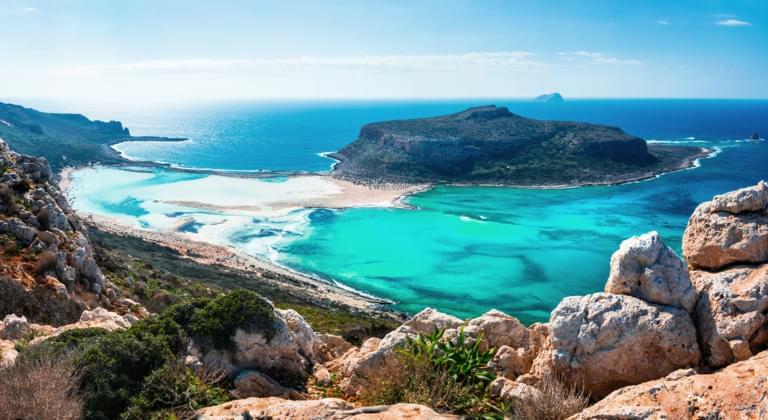 Upon arrival at the airport of Crete in Heraklion, the luggage can be stored immediately in the rental car and the holiday begins from the first second with the journey to the booked accommodation. With a rental car from a car rental company, the many excursion points and beautiful beaches near Rethymno are easy and fast to reach. With a rental car, which could already be rented before the vacation over the price comparison with the car rental locally, the small city as well as the environment can be explored well. Also the beaches are easily accessible, beach toys, blankets, umbrellas and beach bags do not have to be carried far if a rental car is available for the trip to the beach. Above the sea are the ruins of the former fortress Fortezza. These are always worth a trip with a rental car. The fortress dates from the Venetian period of Crete in the 16th century and still guards the old town and the port of Rethymno. By car from a local car hire company, you can quickly reach the fortress, where you can park your rental car and continue on foot. Through small, winding alleys of the old town you reach the top. But the ascent is worthwhile, because even if it is a ruin, there are still cannons and the view over the harbour below and the Mediterranean Sea is breathtaking from here. The old town itself offers with many taverns and restaurants an attractive place for a break, before it goes with the car of a car rental back towards accommodation. The old Venetian harbour can also be reached quickly by car. A stroll is always worthwhile here. As is usual in Greece, many fishing boats are anchored . Modern yachts from guests from all over the world can also be found here. Who likes, can set sail with an old pirate ship and look at the island Crete from the sea. A walk along the riverside promenade is worthwhile , which leads past typical taverns and restaurants, where besides the typical meat dishes of Greece also many fish dishes are on the menu. If a rental car for Rethymno is found cheap on the Internet at a local car rental company, you should pay particular attention to the insurance that can be taken out for this. It is a good idea to take out fully comprehensive insurance without excess when renting a rented car. Because in a foreign country you are often more insecure at the wheel than at home, damage to the rental car can quickly happen. Then you are on the safe side with fully comprehensive insurance without excess , even if it seems a little more expensive at first. It should also be ensured that several drivers are allowed to be responsible for the car as soon as it is concluded on the Internet. Of course, the rental cars of a local car rental company can only be rented upon arrival at the airport, but due to many advance orders there is often no suitable car available for rent. Also the rental cars, which were found over the price comparison in the Internet, are particularly favorable. Therefore it is worthwhile to already think about a rental car before the vacation and rent it in the Internet. If children under the age of 12 travel with you, it is advisable to indicate this directly at the time of booking so that the required child seats are made available when you pick them up at the car rental company.